Where Wedding Dreams Come True! 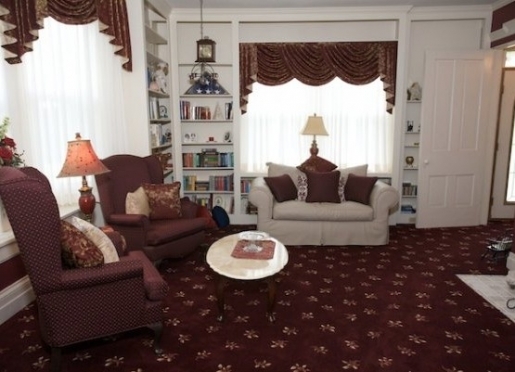 Pamper Someone You Love With A Getaway To Allegan Country Inn's West Wing room with jacuzzi tub. Relax with a good book in our cozy library. Enjoy nature on the screened in porch. 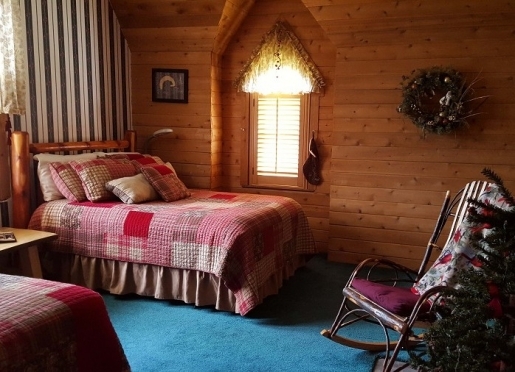 Our Northern Woods room with two large cedar log beds for friends who travel together. 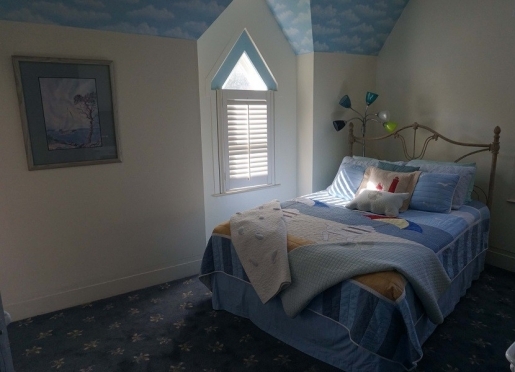 South Haven room with Queen sized bed and private bath. 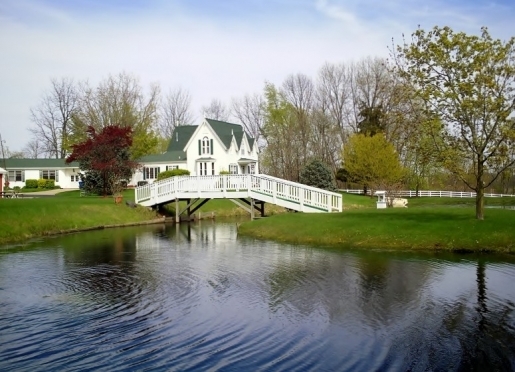 Come over the river and through the woods to experience a little slice of heaven nestled slightly off the beaten track in the gorgeous lands of southwest Michigan. Just a short drive from Lake Michigan's resort towns and shoreline, the historic Allegan, MI Allegan Country Inn is conveniently situated near Lake Michigan in west Michigan between Saugatuck, Holland, Grand Rapids, Kalamazoo and South Haven. Offering guests relaxing, intimate accommodations surrounded by extraordinary rolling green lawns, ponds, and wooded acres, our country inn is the perfect place for a romantic getaway with someone special or gathering with a group to celebrate a wedding, anniversary, or other special event. During your stay at our historic Allegan area bed and breakfast, you'll be served a delicious candlelit breakfast in our country kitchen in the morning and exquisite homemade chocolates in the evening. Of course, our Innkeeper is always at hand to attend to your every need. Whether you're interested in an active getaway packed with activities and entertainment, or a more relaxed, quiet stay, to refresh your spirit and take in the tranquil surroundings, the Allegan Country Inn, Lake Michigan coastal towns and the wooded areas surrounding it offer something for everyone. Travelers are always looking for memorable and relaxing experiences. Let’s discover more through the words of our innkeepers. Many thanks to Sheila Dever for sharing her secrets with BBOnline.com! Vacation, anniversaries, weddings and birthdays. Peaceful, relaxing, retreat away from the city. 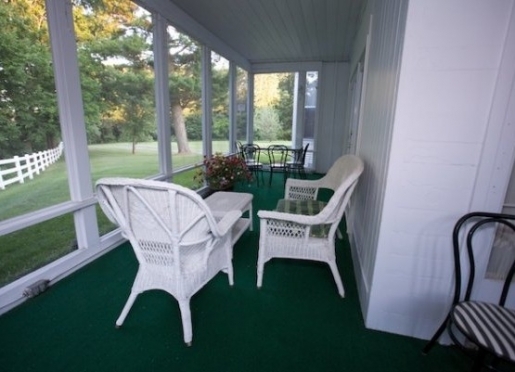 The screened in porch and the most comfortable beds with memory foam. The Allegan County Fair, Antique Shows, Wineries, and Business travel to one of the largest pharmaceutical companies corporate headquarters. In the winter we are in the snow-belt and compared to Upper Peninsula snow patterns. The Allegan Forest connects to our land and is the area that was cut down to rebuild Chicago 100 years ago. It is the most beautiful area in the Fall. Within 20 minutes of the Lakeshore, towns of Holland, Saugatuck, and South Haven. 35 minutes from Grand Rapids named Beer City USA and home to 15 different breweries including Founder’s Brewing Co rated the 3rd best brewery in the World! In our small Historic town, travelers love the boardwalk that follows the Kalamazoo River through town. Visitors also love to visit the many Antique shops in our area. Allegan County Fairgrounds, Fine Arts Center, and walking trails to the Allegan Forest. The Grill House (featured on the Travel Channel), The Fennville Station, a unique Italian restaurant where the dining room is a 1938 train car connected to two silos-fabulous atmosphere! Four and an Annex (small catering hall capacity 50 comfortably). We do not, but eight miles from the Allegan Country Inn is www.mybestfriendsinn.com, a doggie day dare, boarding, training & grooming center. The Allegan Country Inn specializes in helping you create the Wedding of your dreams, a fun family reunion, and corporate events! Call us today for more information. 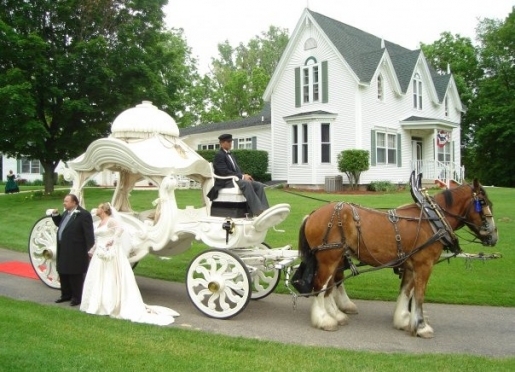 The Allegan Country Inn specializes in extraordinary facilities and attentive services to make your special event simply perfect in every way, with everything you need in one fabulous location. More details and photo gallery coming very soon. For more information or questions about our facilities or to schedule your special event, please call (616) 307-5803. You can also email us using the "Contact Us" button above. Come downtown Allegan every Friday night in December for horse drawn carriage rides, a visit with Santa Claus and live Christmas music at the Baker Art Studios and Gallery! The Allegan County Inn is proud to host guests from all over the midwest and beyond. For your convenience, we have supplied directions below along with quick links to Google maps. If you require further detailed directions, please feel free to give us a call at (616) 307-5803.